If you only teach students who have English as their first language and you’ve never tried to learn a second language yourself then maybe you don’t realize how hard it is to be really fluent. As someone who has lived for an extended period in three very different countries where I did not speak the language (Pakistan,Japan and Chile) I can tell you that there is a very big difference between being able to get by and being 100% comfortable and competent. Sure, you can take “x language in a month” and learn how to order a meal, get a hotel room and find the bathroom. You might even be able to hold a superficial conversation about the weather. So many things are hard about learning a new language. Let’s start with idioms. How many of these do you know? It really doesn’t, but languages often don’t . 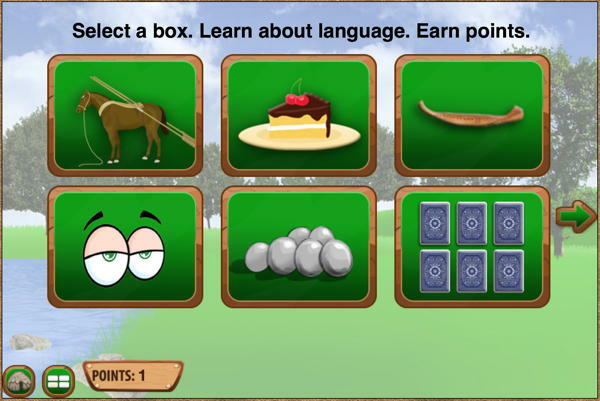 One of my favorite parts of our new game, Making Camp Premium, is the video and games that teach about idioms. It’s one of the pieces of Spanish that I’m still missing, and I’m sure anyone wanting to improve in English has the same challenge. Lots of teachers tell me that their students have the same problem with understanding idioms, even though English is their native language. Idioms have always been more of something amusing than difficult for me, personally , but I believe those teachers. After all, it would be a totally weird thing to make up , wouldn’t it? For students who are just learning English, these weird sayings of ours present an even bigger challenge. So, whether you feel like a fish out of water in English class or you think it’s easy as pie, check out our newest game , Making Camp Premium. I think you’ll take to it like a duck to water. *Over 50 activities for under two bucks. Runs on Android, iPad and any computer.